Do all or some of these sound familiar? Market research can help you ensure that you are balancing your customers' needs with the demands facing your business. 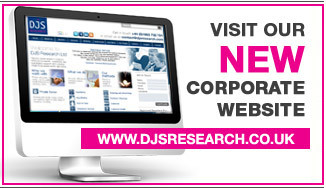 Whatever the challenge DJS Research Ltd can help, and don't just take our word for it . . .
"We've worked on a number of projects over some time and the benefits have been clearly evident. Their ability to understand our business and apply the learning from one study to the next has been superb. In fairness, you would hope that all research agencies do this, but it's not always the case. I would certainly recommend using them. I have also consistently been able to put them in front of my internal clients and not worry about the reaction. For a research manager, this reassurance is hugely valuable as it takes some of the pressure away from me. I have on many occasions been able to consult and bounce ideas around, sometimes without a specific project in mind. Sometimes this leads to work but not always. Regardless of the outcome, they have always been keen to help." Ali has helped several Energy Network companies understand why they are ranked where they are in OFGEM's Incentives and Information Project rankings by researching customers who having experienced a fault have called their local power cut helpline. The research not only measures their satisfaction with the service received but also measures it in relation to their expectations e.g. did they expect to get through to an agent immediately and be told their power would be back on in two hours exactly? Expectations are set by the service people receive in everyday life e.g. when they call their bank or travel agent. Also as each DNO exclusively services its regions' customers, they are unlikely to have experienced a similar type of service from another utility company. As well as perceptions and expectations we measure importance. For example is it more important for the phone to be answered in 30 seconds or for a call handler to give me an accurate estimation of when my electricity will be back on? If a company is failing in an area which is key to customers but succeeding in one of little importance action needs to be taken. The research also challenges whether customers in rural areas think differently to those in urban areas, whether those more frequently affected by power cuts have different perceptions to those who are not and whether business customers should have their own helpline. In some regions Ali has also conducted research with those who have experienced power cuts but not called in and with those yet to experience a power cut. The findings from this research have fed into recent price reviews. Case Study 2: How Can We Better Manage Our Network Repair Programme? - whether the programme left customers feeling more or less positive about the company in question. After each phase, changes were made on the back of the research to ensure the next stage went more smoothly. Case Study 3: How Can We Stop Any More SMEs Leaving Our Business? Telephone interviews were conducted on a monthly basis to establish why SMEs were leaving an Energy Retail Company - were they being pushed or pulled and what could the company in question do about it? Ali was involved with interviewing large businesses, SMEs and domestic households prior to the de-regulation of the energy market to measure their attitudes to switching energy provider and afterwards to measure their behaviour. - How can we expand into new product areas without harming the brand? - What are the needs of our largest Industrial and Commercial customers - how important are reputation, service, social responsibility, the brand and price to them? - What level of service do our customers expect and what do they get - what is driving customer satisfaction? - Why aren't SMEs taking up our current loyalty initiative? - What do housing planners consider the advantages and disadvantages of multi-utility connections work? - How businesses perform in the connections sector? - What do customers think of our latest sponsorship deal? - What do customers think of our latest ad?